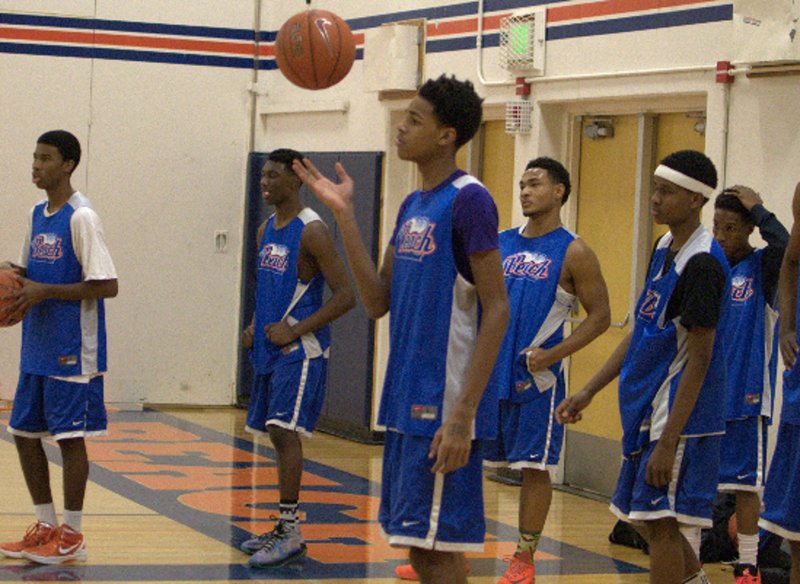 Perhaps no one player raised their stock more this high school season than Dejounte Murray. The 6-foot-5 Rainier Beach (WA) product exploded onto the scene, teaming with Louisville-bound Shaqquan Aaron to lead the Vikings to an undefeated regular season record and a Washington State Championship. Dejounte Murray: I'm looking forward to great sessions each session and [to] prove that me and my team can play with any team across the country! DM: Everything honestly but I'm ready. AK: Who are you looking forward to playing against most in the EYBL? DM: All the so called top players around the country. AK: How is the team chemistry on the NorthWest XPress? Been any bumpy spots in your EYBL prep? DM: Well we are two different states comting together, so it's not easy to get practices like the other teams that are all from one state, but we ready! AK: Who is currently the best player you've matched up against? Or rather, who has impressed you the most? DM: Rashad Vaughn, Kelly Oubre and Payton Pritchard. AK: Which player do you model your game after? DM: JCrossover [Jamal Crawford of the Los Angeles Clippers]. DM: Gonzaga, Washington, California, Oregon, USC, and Washington State. AK: Which of your teammates is primed to breakout this spring? DM: Mattiese [Thybulle], Keith Smith, Mandrell Worthy & Kadeem Strickland.